While West Sussex Practice Managers Association has taken all reasonable care to ensure accuracy of the website’s information, they shall not be held responsible for any eventualities arising from the use of the information provided. 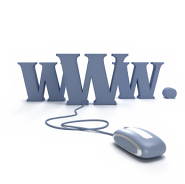 West Sussex Practice Managers Association is not responsible for the content or reliability of linked websites and does not necessarily endorse the views expressed within them. Listing shall not be taken as endorsement of any kind. We cannot guarantee that these links will work all of the time and we have no control over the availability of the linked pages.